platforms. Finally we have discovered “KhooCommerce”, a UK based solution provider. Unlike Amazon Seller Central which uses API, Amazon Vendor Central uses interface called EDI ( Electronic Data Interchange) which allowed us to get particular information from Amazon Vendor. EV Cables Limited has recently implemented the KhooCommerce Vendor solution. Within a few months, KhooCommerce enabled them to automate managing their sales and expand their presence across multiple channels. 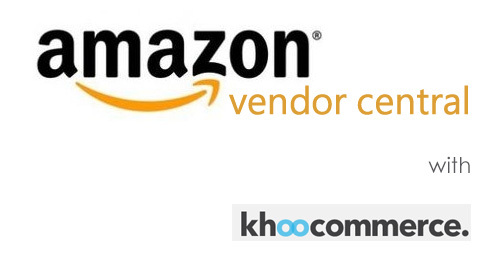 EV Cables use the KhooCommerce software to process their orders from consumers, wholesalers, and Amazon Vendor, along with the ability to sell in multiple currencies. They will shortly be adding integration with Amazon Seller and eBay. The order management system is dynamically linked with their UK based warehouse to enable prompt order fulfilment whilst the accounts are integrated with Clearbooks. With stock control across all their selling channels, EV Cables are able to effectively manage their inventory with tailored stock policies. EV Cables are also setting up the KhooCommerce software to link in with their suppliers to enable seamless purchase order processing. The end result you can expect is an automated system that would handle your customers’ orders from your website, eBay, Amazon Seller Central and orders from Amazon together. So, with the KhooCommerce software, a cloud-based multichannel inventory management system you’d be able to automate order processing such as communicating with a logistics partner, updating stock levels, processing orders and managing invoice creation/payments. Recently we spoke with Katherine, director at KhooCommerce and here’s the podcast for you.